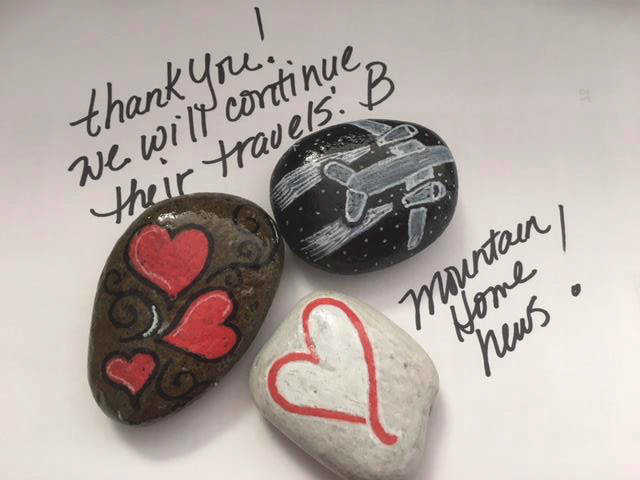 The Mountain Home News has once again been the recipient of rocks hidden by the #mohorocksid movement. The idea is to decorate rocks and hide them in various locations in your area, parks, trails, downtown, anywhere to brighten someone’s day. It sure does brighten the day of the newspaper staff whenever we find one outside of our office and we just thought we would share our "warm fuzzies" with all of our readers. If you are lucky enough to find a piece of art that you can’t bear to part with then please feel free to keep it. Or have fun and re-hide to see where it might show up again. For information on how to become involved with the group check out their Facebook page.